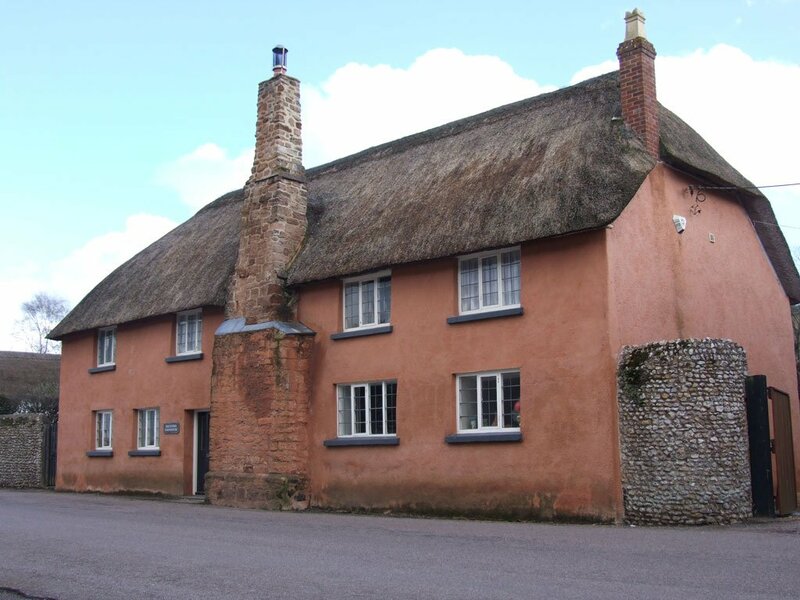 The farmhouse is of early 16th or late 15th centuries build close to Otterton harbour as a three room-through-passage house open to the roof with open hearth with lateral stack built on the north side. The Lease No.19 Tithe Map No 1123 marks “Homestead & Courtlage” in Otterton Fore Street as illustrated above now named Housterns Farmhouse. The earliest Lease No.19 seen is dated 27th. September 1723 to John Baylie and previously held by George Austin deceased. 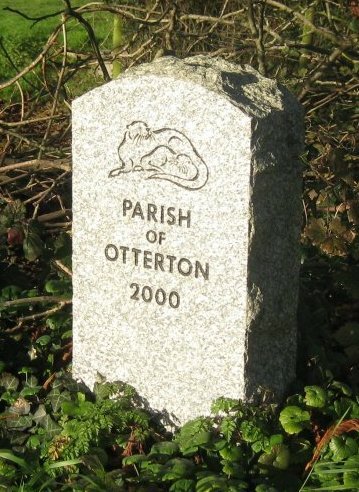 He had been Otterton Churchwarden in 1713. In 1684 he had been charged with others smuggling locally. 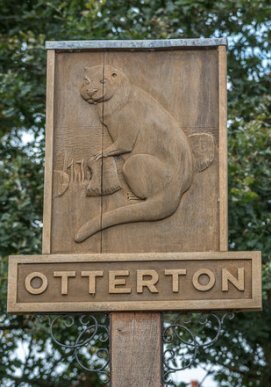 Members of the Austin/Austyn family had been living in Otterton since 1524 and may have been farming from the farm in Fore Street. Hill. No.19 was then named “Leatts” Farm. Rev, Leat had become Pastor of Salem Chapel in 1768. He “was in a position to preach the gospel without receiving an annual stipend from the people”. He was already a man of property at the age of 29. It is believed that Salem Chapel was used to store goods from smuggling activities and Revd. Leat was involved, benefiting from these activities. 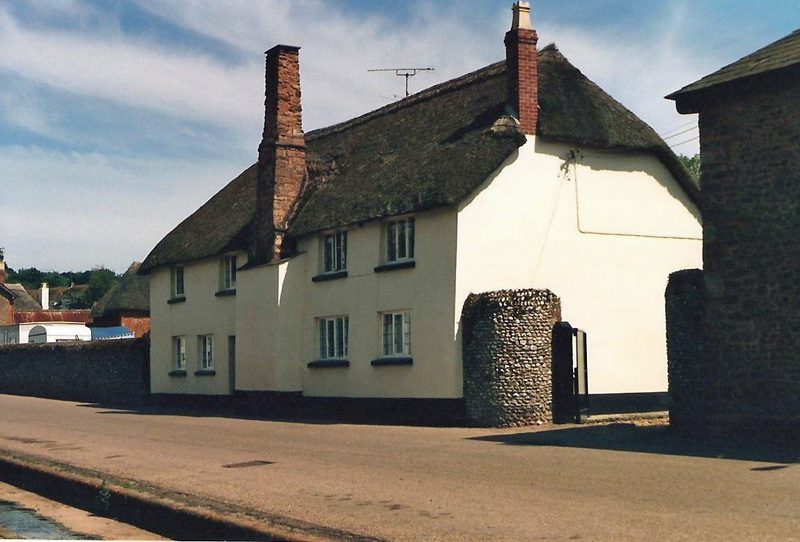 He gave up his ministry at Salem Chapel in 1807 and retired to one of the 4 houses he owned in Otterton. We believe this was Leats Farmhouse. He died in 1817 and buried in Otterton Churchyard. There was then a dispute as to who were the administrators of his affairs as a will was not discovered. In March 1818 his grave was opened and corpse mangled. No further record has come to light on this event. William Leat gave up the lease in 1825 the tenancy was then continued on a Rack Rent and granted to Isaac Halse. In 1842 the Farmhouse was nearly rebuilt. John Gush did considerable carpentary work and thatching in wheat reed. The later was supplied by farmers from Ash Tree, Lower Pinn, Pinn Barton, Basclose, Stantyway and Mullens farms for £18.10/-. At this time Houstern Farm had 54 acres of land. The name of the farm had derived from Housteren field 5acres at Stantyway which Halse held before taking over Leats Farm. 1852 Mollands/Mullins Farm adjoining was grouped with Houstern and members of the Halse family lived in both. 1881 William Beer is tenant and Mullins farmhouse was demolished. Thomas White followed by 1902, with 140 acres. At the 1911 Survey it is described as compact, well farmed. The fields were grouped south of Stantyway fields and where the sewage farm is today. John Dowell is tenant in the 1920’s until his death in 1977. The Estate took over the farmhouse and the fields were passed to Clinton Devon Farm Partnership. John Bain, Estate Land Agent, and family lived in the house for a few years and it was sold to Michael Dickens in the 1990’s.